What's on your sewing table this week?
. . . I've got my sewing room just about sorted now, so I dug out my whimsy blocks again this week, searched through my florals and cut out a couple more. Here they are up on the design wall all ready for machine piecing together. I must do a head count soon to see just how many more to go. I can't quite locate my Judy Newman book at present but I think I worked out I needed around 56 all together.
. . . and I spent a bit of time getting my 'wild bloom' anthologie quilt all together. This QAL was hosted by Melanie from southerncharmquilts and barij. I found the easy pace very do-able, even while mid-flight moving house! 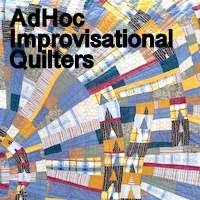 And such a great way to learn new techniques, work with a good dose of low volume fabrics and add a little extra quirky 'boho' style. The finished quilt size is 65.5" x 80.5" with 11 different block patterns of varying sizes and filler blocks. That's it from me this week. Time now for another Sew Stitch Snap SHARE'- a regular fortnightly linkup where you can see what other blogging quilters are up to. My favourite pick from the last few times were Julie's beautiful 'solstice dream' blocks. I love her use of vibrant felt colour and her embroidery is amazing. Have you been following her progress too? Pop over here to see lots more. And do you have a project to share this week too? Also please comment on other quilter's projects too, a little quilty love goes a long way. So much loveliness going on in your quilt room right now. LOVE the new header quilt so much! And the quilt on your wall is just incredible. The fabrics make it look very sweet, whimsical and a little bohemian as well. Then there's the anthologie quilt which is just pure fun. Thanks for sharing!! 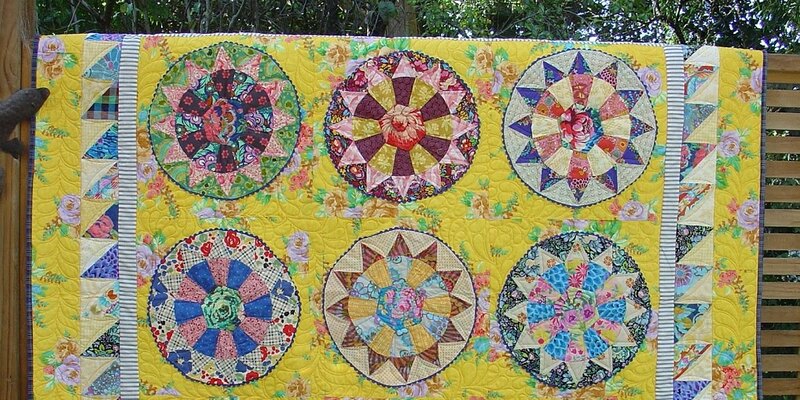 I love your Anthologie quilt, almost makes me wish I had joined in the QAL. So glad your sewing room is set up and workable, that will make you feel so much more settled. Thanks for highlighting my Solstice Dream blocks too. Kudos to you. Two beautiful quilts in progress while moving. They are both lovely. I want to try some of those star blocks soon. 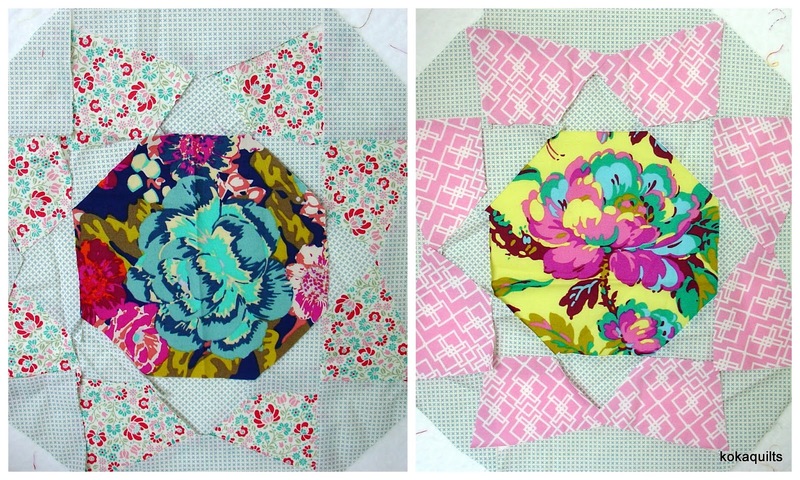 Two beautiful quilts, I know you enjoyed making them.........love the new header photo :-) Very bright and cheery. Yes, your new header quilt is gorgeous with color and design. It looks as though you're almost all moved in! And nice work on your new quilt. Love the new header Linda! Smashing finish with your Anthologie quilt, and top marks for carrying on through the house move with this one. Love all the handwork. I try my hand at it from time to time and enjoy it. Glad to see you got your sewing space sorted out quickly! Like others I love the new header and the gorgeousness on your design wall at the moment. Great to see what is going on with all your blocks. They are looking lovely. I just LOVE your New York Beauty on the wall. I plan to start one in October in reds, tans, and greys.Your quilt is getting me excited. I also love your sampler as well as your GORGEOUS applique'!